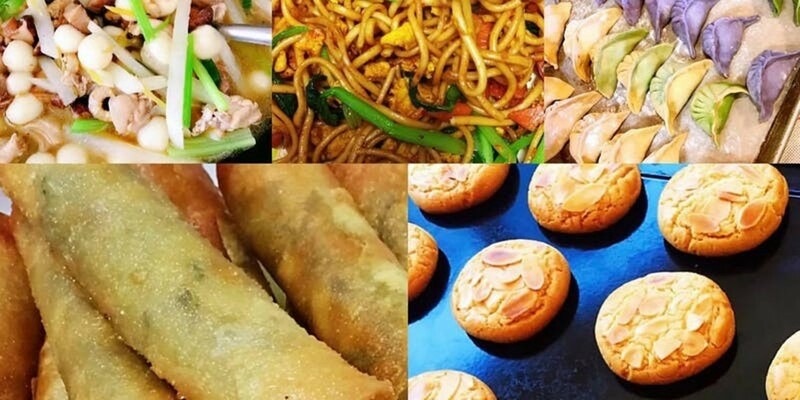 Please join Wendy Chan’s Home Cooking to celebrate Chinese New Year at Jefferson School on Saturday, February 16th, 2019 from 12:00PM to 2:00 PM. This is our first fundraising dining event for the Jefferson School Project and Food for People’s pantry. All dishes will be prepared in school’s commercial kitchen. Chefs featuring Wendy Chan, Jade Brady, and retired Humboldt chefs and restaurant owners, Mary Chin of Chin’s Café, Linda Kwan of Kwan’s, and Kyoko Clark of Kyoto. Menu: Savory Chinese rice ball soup (GF), Crispy Lumpia, Vegetable Lo Mein, Steamed Multi-colored Dumplings with Spicy Chili Sauce, fresh Baked Almond Cookies and herbal teas. Tickets : $20 per person. *All proceeds go to Jefferson School and Food for people * Please come and get a belly full of delicious food for a good cause!! !